Our NetFORCE-12XL™ industrial computers deliver rugged performance in your most demanding applications. Engineered from the ground up for harsh-environment installations in challenging fixed or mobile-mount applications, NetFORCE-12XL systems are easily installed on a wide variety of industrial vehicles -- forklifts, yard trucks, hostlers, tuggers, etc. 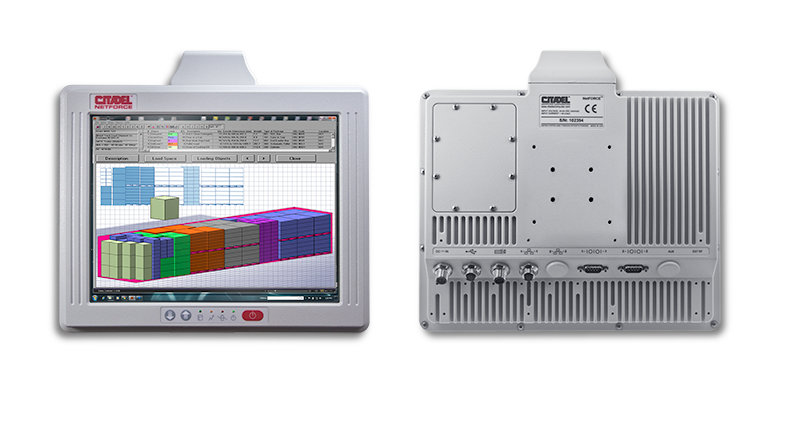 These compact systems offer a bright, high-visibility displays with a glove-compatible touch-screens that support convenient touch-based applications for efficient productivity on the move.